The median home value in Mission, TX is $725,000 This is higher than the county median home value of $89,700. The national median home value is $185,800. The average price of homes sold in , is $. Approximately 58.48% of Mission homes are owned, compared to 23.9% rented, while 17.62% are vacant. Mission real estate listings include condos, townhomes, and single family homes for sale. . Commercial properties are also available. If you see a property Mission real estate agent to arrange a tour today ! Come take a look at this fabulous home located in The Oaks at Cimarron in Sharyland. Come and enjoy this peaceful neighborhood surrounded by beautiful landscaping and just minutes away from shopping centers. Sharyland is also known for its great schools and friendly people. Call today to set your appointment!!! Remote Ranch Luxury Estate. Featuring a Private Oasis with a patio overlooking a stunning lake and natural fauna with outdoor bathrooms, jacuzzi and BBQ areas. This 11 acre ranch home features stunning designs with granite counter tops decorative ceilings and a separate master bedroom with guest amenities, great for hosting your gatherings. Surrounded with splendid natural vegetation which make you feel in paradise. Furniture can be negotiated with the property. Feel free to call me to set up your very own private showing of this amazing property!! Location, location and location! Camino Real is one of the first Subdivisions in Sharyland Plantation. It offers bigger lots, 3 plus car garage, alley, spacious bedrooms, plenty of closet space, mature trees and the privacy of not having a neighboor in front or in the back. This one story home is over 3,100 sqft, well kept and priced to sell. Call us for more information as well to schedule your private tour. Starting a family or looking to grow it? This gorgeous, eye-catching 4-bedroom home in Sharyland Plantation is less than a 3-minute drive from Expwy 83, shopping centers, and restaurants. This home spans nearly 3,600 sqft and sits on a 1/4 acre in a quiet and family-friendly neighborhood. Amenities include walking trails, recreational parks, and lakes! This home features ample living space with a foyer, office, 2 commodious dining areas, 3 spacious rooms, and a master bedroom with double vanity, and walk-in closets. This homeâs graceful backyard has been extended to create the perfect open spot for gatherings and features beautiful greenery, storage shed, and enough space for a pool! LOCATION + MODERN TOWN-HOME LIVING, OPEN FLOOR CONCEPT, WITH INDOOR COURTYARD, BASE TAXES ON INVENTORY LOT ONLY, MODEL HOME IS FURNISHED, APPLIANCES, ALARM, NEST VIDEO DOOR BELL AND THERMOSTAT, FRONT CEDAR DOOR, ANDERSON WINDOWS, RESTORATION HARDWARE LIGHTING FIXTURES, AND MUCH MORE! Country living close to city limits. This 4bedroom, 2.5 bath has a 2 car garage-- giving you 2,078 square feet of spacious living, gourmet kitchen, and high ceilings. ALL THIS situated on TWO ACRES and a convenient, friendly neighborhood with outstanding schools, only 15 MINUTES away from the cit. Home needs a little TLC. Schedule a showing today! SPACIOUS 3 CAR GARAGE. WALK OUT TO FIND THE A LOVELY LANDSCAPED YARD ON A 1/2 ACRE LOT. EXPANSIVE LIVING ROOM WITH BAMBOO WOOD FLOORING, DECORATIVE HIGH CEILINGS, AND CUSTOM FRONT DOOR. SPACIOUS KITCHEN WITH ELEGANT CABINETRY, GRANITE COUNTER TOPS, AND STAINLESS STEEL APPLIANCES. RELAX IN THE FAMILY ROOM AREA OR KITCHEN NOOK AS YOU VIEW THE CRYSTAL BLUE WATER IN THE INVITING POOL, LANDSCAPED YARD WITH MATURE TREES AND A MASONRY PRIVACY FENCE. ENJOY THE VIEW SITTING IN THE COVERED PATIO OR ENTER AND ENJOY ANY OF THE 4 BEDROOMS OR VERY GRAND OFFICE WITH ELEGANT BUILT INS. Wonderful single family home located in the heart of Sharyland perfect starter home. This property is near schools, restaurants and retail plazas. Come view this 3 bedroom 2 bath home before it's gone! This beautiful 3 bed, 2 bath and one half bath is a sight to see. With great attention to deal across the home that includes the decorative ceilings, unique kitchen coloring, master bedroom and much more. The kitchen has a distinct color complimented by granite surrounding the kitchen. The master bedroom has a walk in closet unique decorative ceiling, master bathroom has his and hers vanity, and a private commode. When you walk into this beautiful home the ambience creates a unique feeling right when you walk into the foyer, then greeted by the spacious living area. This home has an undeveloped patio slab that can be converted into an extra covered patio area, gazebo, or anything future tenants plan to use it for. Schedule your showing today to view this unique home! Traditional and elegant, this 4 bedroom, 2 1/2 bath home is simply divine! Hardwood floors add elegance and warmth in the main living areas. Open floor plan with dining and breakfast area plus comfortable living area with large windows open to pool. Kitchen has great view of pool and is open to the living area. Bar seating is available. Tall, cathedral ceilings provide lots of natural light w/ double cased windows showcasing the pool & living area. Downstairs Master with triple window view of tropical landscaping and pool plus spacious bath with walk in closet, garden tub and separate shower. Upstairs boasts 3 additional bedrooms plus an extra living area that could be a 5th bedroom! Shared bath upstairs with shower/tub combination. Home is well maintained and clean. No maintenance needed in this back yard. Pool grounds have several eating areas plus covered gazebo for outdoor living. Private & fenced with nicely landscaped corner lot - this tropical home is ready to dive in! Modern & Unique custom home located in North Sharyland ISD and this owner is MOTIVATED @ LESS THAN $83 PER SQUARE FOOT ! Home is located in established Canyon Gate Subdivision just off Shary Road boasts 3 full bedrooms, 2 full baths, open living/kitchen/dining areas, tile/carpet area(s) and second level master bedroom area with living & balcony area(s) attached. Other features are 2 A/C units, conveying appliances, 2 car garage, and SO MUCH MORE! This is the one you have been looking for! Situated in the heart of Sharyland Plantation, this bright home has an open floor plan with 2 living, 2 dining areas, and an updated kitchen that will be great for inviting friends and family over. The kitchen has granite countertops, stainless steel appliances, an oversized sink, and lots of cabinet space!Large master suite is downstairs with an amazing walk in closet! 4 bedrooms are upstairs all with nice size walk in closets. Upstairs is a Jack and Jill style bathroom with each room having their own vanity and the 3rd full bath shared by the other 2 rooms. One of the bedroom is large enough to be used as a game/media room! This gorgeous resort like pool will definitely keep you cool all summer long! Relax and enjoy the sound of the rustling palm trees under the covered patio! And a new AC to keep you cool inside! Outside is a 3 car garage and a Texas size driveway for all your guests to park! Zoned to great schools in Sharyland I.S.D. Cooks will love the convenience of the kitchen island in this 1-story home in Mission. Offers 3 bedrooms, 2.5 bathrooms, classic dining room, master suite with walk-in closet, vanity, spacious gathering room with metal insert fireplace, carpeting, convenient kitchen with custom cabinets, solid-surface countertops, microwave, refrigerator. Looking for a great home with space? This house has plenty of space inside and outside featuring a downstairs master bedroom and granite counter tops throughout the house. This home is located in a great area on Stewart Rd, zoned to Sharyland ISD and close to restaurants, businesses, gas stations and much more on expressway, FM 495(Pecan) and Business 83. This house won't last long so call and schedule an appointment to see this house today! The price is right on this 1-story 2-bedroom/2-bath home in Mission. You'll enjoy a traditional living room with entertainment center, and tile floors. The master room includes a walk-in closet for your wardrobe. Laundry room includes washer and dryer. Convenient kitchen with electric range, appliances included, breakfast bar, laminate countertops, dishwasher, custom cabinets, refrigerator, pantry, and microwave. 2-car garage, storage building, shingle roof, enclosed patio, custom drapes. Priced to Sell!! Minutes away from shopping centers on Conway and Mile 3. Affordable living awaits at this brick home in Mission. Has 2 bedrooms, 2 bathrooms, classic dining room, casual living room with tile floors, built-in bookcases, entertainment center. A space-saving kitchen with dishwasher, electric range, tile countertops, refrigerator, and microwave. The home has mature plants, covered patio, fenced back yard, shingle roof, 2-car garage, and security system. STUNNING maintained home located in the heart of Sharyland Plantation!!! The open layout is great for entretainment! Custom kitchen with backsplash, vaulted ceilings that brings a sense of openness, a wide backdoor from the living room towards the covered patio to enjoy your private mornings. Formal dining room, bonus room which can also be used as a playroom, home office or craft room. Granite counters in both bathrooms. Custom solar screens on all windows and new A/C to help with energy efficiency . Professionally landscaped yard with in-ground sprinkler system. 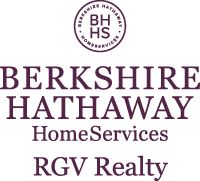 Within walking distance to Harry Shimotsu Elementary School, one of the premier elementary schools in the RGV!!! New Construction home in a great location. This home is a 4 bedroom open concept split bedroom layout. Eat in kitchen island, breakfast nook/ dinning area and living area are wall to wall windows , that bring in much lighting. Taller ceilings, warm colors, gives it the homey feel everyone is looking for. Excellent location of this lovely Condo which is close to all the shopping centers, restaurants, supermarkets and churches of different domains, and being adjacent to the Shary Municipal Golf course. This Condo offers a quiet setting facing the north side of the building thus eliminating direct sun rays while facing a gorgeous pond and being able to admired the flock of birds coming in to take a dip in the fresh water. The Condo is all furnished with well maintained clean carpets throughout with the exception of the bathrooms which are tile. There is no need to buy appliances, dishes and linens all convey with the sale. The other appealing factor is that a vehicle may be parked in the covered space within 15 feet away from the entrance of the Condo, thereby, eliminating carrying bags of groceries or other heavy items a distance away. Another healthy feature to this Condo is its availability of having reverse osmosis water system. This English Cottage style home with custom Austin Stone Exterior accents sits on a large .46 Acre lot in the exclusive neighborhood of Palazzo at Cimarron. From the open-concept kitchen and living space to the large shaded backyard with a pool and cover patio, this 4 bedroom/4 bathroom home provides plenty of room for the whole family to enjoy. Past renovations include Sub-Zero Refrigerator and a bedroom with a closet and bathroom upstairs. A few additional renovations in this home would bring you the perfect home for the perfect price! Situated in a family-friendly neighborhood near the park and Golf Club, this home is sure to go fast! Fall in love with this lovely & very inviting home Located in a very nice & quiet 55 +Community. The home has a residential lot, that is directly behind the house and both are deeded together. Beautiful 2 bdrm, 2-1/2 bath features a breathtaking foyer that leads into the spacious living area, a kitchen that is equipped w/granite counter-tops, an extra lg island & a warm breakfast nook bathed in natural sunlight. Lg master suite, dbl vanity in the bathroom, large shower & walk-in closet w/built-in drawers. X-large laundry room has a wash area w/plenty of storage. All ash wood throughout the house incl beautiful tile flooring throughout and in front & back patio, bdrms & closets are carpeted. Oversized garage has a built-in shelf for TV, a wall splinter A/C unit, a 1/2 bath, + a side entry for golf cart. Plus other remarkable features. Close to the recreation center w/lots of activities, swimming pool & golf course nearby. Park is conveniently located near Walmart and Heb. A must see! Enjoy touring this home at Marble Falls in Sharyland ISD! This home is located in a peaceful neighborhood, while only being minutes away from great schools, shopping centers, and the Expressway! Locate in a corner lot and surrounded by beautiful landscaping this home features a sparkling in-ground pool, new carpet through-out, and a large covered patio. As you enter you are warmly welcomed by the formal living and dining areas featuring large windows for natural sunlight throughout. The kitchen area features breakfast knook, ample of cabinet space with granite counter tops, and pantry. This home features a master bedroom a private master bath with a walk-in closet, private commode, separate shower, and garden tub. The 3 guest bedrooms are perfectly sized. With all that is offered, you will be blown away by the beautiful back yard/covered patio area featuring an resistance in-ground pool perfect for family and friend gatherings during hot summer days.